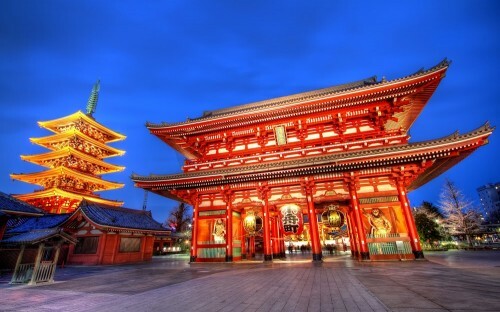 Once again cheap flights to Japan: Tokyo for €449! KLM offers cheap flights to Japan only today on special promotion! Return flights from all German airports to Tokyo are available for only €449! You can fly from Berlin, Düsseldorf, Frankfurt am Main, Hamburg, Köln, Dresden, Bremen, Hannover, München, Münster, Paderborn, Nürnberg or Stuttgart! Travel dates are until end of June 2014 with maximum 1 month stay. Tokio is fairly expensive city so comparing all hotels in town before your trip can save you a lot of money! « Last minute holidays in Crete: 1 week in 3* All Inclusive hotel, flight, transfer for €181!